In December 2016 the US Congress enacted the 21st Century Cures Act, which required the FDA to facilitate an efficient development program for, and expedite the review of, new medicines meeting the definition of a regenerative advanced therapy (RAT) (Section 3033). The RAT designation in the legislation is now referred to as the Regenerative Medicine Advanced Therapy (RMAT) designation. Now that the first two of these therapies have been approved, the supply chain of patient- and donor-derived regenerative medicine products will fall under increasing pressure for standardization and increased regulatory requirements. Much of the early regulatory focus has been on material processing with four guidance documents issued in a regulatory framework established by the FDA on November 16, 2017, its focus is on recovery, isolation, and delivery. Cryoport believes that enhanced traceability within the temperature-controlled and cold chain logistics distribution will also be subjected to additional regulatory requirements due to the fragile aspect of the drug product and the disproportionate risk of improper cold chain management on the viability of the therapies. The first three elements identified are already well established within the industry; however, they will need to be enhanced and integrated into a single data stream for cross-referencing and accountability. 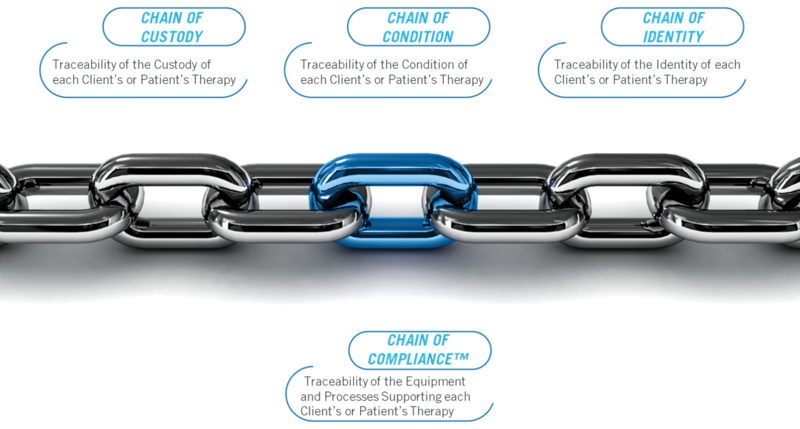 However, the fourth element, a Chain of Compliance™, is not currently required but is necessary when considering risk management in personalized therapy distribution. Chain of Compliance™ includes tracking and understanding courier performance, equipment validation, requalification, performance, sterility controls and cleaning processes. In addition, it includes the ability to manage the packaging utilized in product distribution in a manner similar to manufacturing equipment traceability within a manufacturing environment. The ability to collect, interpret, and leverage all of this data provides a more intelligent supply chain. Rather than trying to determine what has gone wrong after multiple failures, it becomes possible to take a proactive approach. Having the ability to assess risk and provide intervention capabilities when unexpected problems arise has the power to save time, money, and even patient lives.